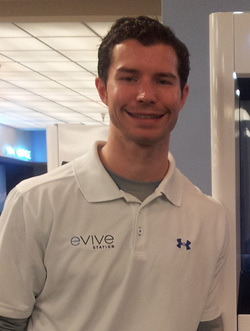 Thomas Petrini is the founder and chief strategy officer of Pittsburgh-based Evive Station. Evive is the first on-the-go reusable bottle cleaning and filling kiosk. To date, Petrini has raised $6MM+, hired a full time team of 8 employees and 10-15 full-time contractors (at any given time). Evive partnered with Daedalus Product Development and Flextronics to design/manufacture Evive Station. Evive Station has already launched entirely across West Virginia University and will soon be at CMU, Slippery Rock University, and the University of Pittsburgh Medical Center. Prior to Evive, Petrini managed international cross-functional projects for H.J. Heinz in Pittsburgh. Petrini holds two graduate degrees from Duquesne University – an MBA and an M.S. in information systems management. Petrini spends his free time traveling and is always looking for the next adventure. Petrini will present on Thursday, March 21 from 1:00 p.m. - 2:15 p.m. in room 112 Walker Building.